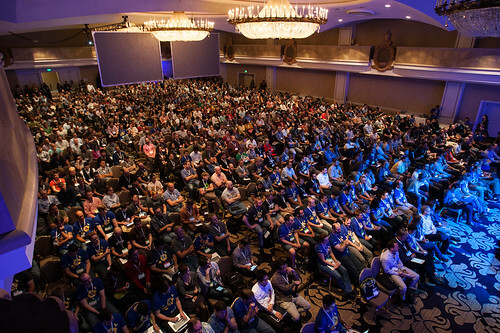 Last week, PuppetConf took place at the Fairmont in San Francisco, gathering Puppet users and enthusiasts from all over the world for five days of training, development and sessions. MaestroDev was present at the event, since we are heavy Puppet users and contributors! We are currently the third most frequent contributor to Puppet modules in the Puppet Forge and publish 30 modules, of the 50 that we use on a day to day basis.